Ever wondered, what do people around the globe share most often on Facebook, Twitter and Google+. Then wonder no more. 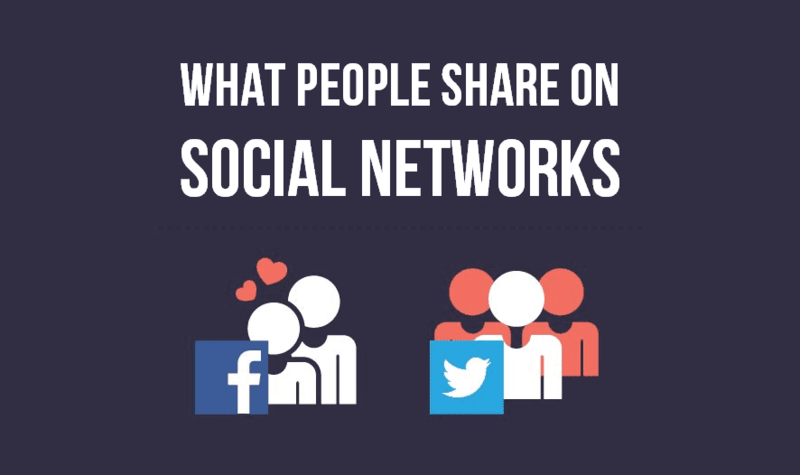 This infographic from go-gulf team takes a closer look at what people share on social networks. 43 percent people like to share photos on social media. 26 percent share status update of what and how they are doing. Sharing photos is the most popular activity on Facebook and GooglePlus, while, on Twitter most Tweeters like to post daily activity updates. Nearly, 7 in 10 people share on social media to give others a better sense of who they are and what they care about.